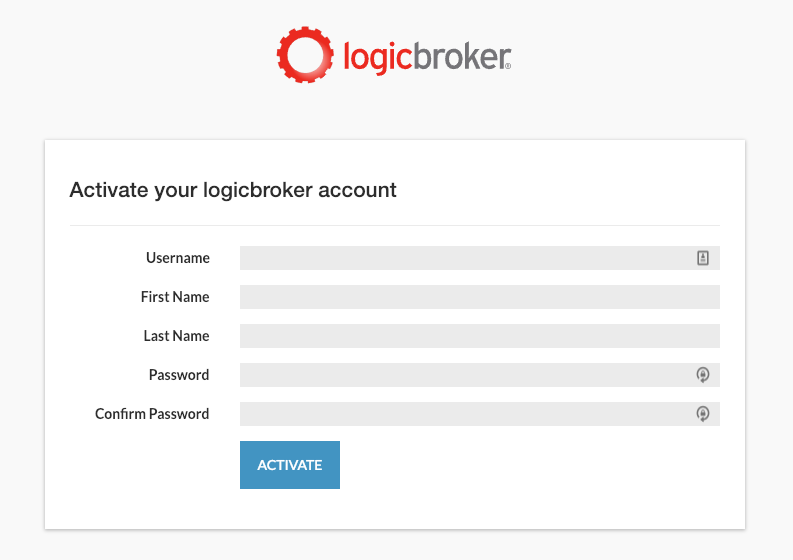 Before creating a Logicbroker account, you will need to receive an email invitation to register. 1. If you are the first user at your company, Logicbroker can send you an invitation. 3. The subject line of the email invitation is "Welcome to Logicbroker!". You should also check you spam folders in case the email was routed there. The email will contain a link to set up your account. 4. Once you click on the link, you will be brought to the following page. Create a username, provide your first name and last name, and enter in your desired password two times. Click Activate. Please note that your password must be at least 10 characters/digits in length.